Home › Events › Wrangle & Ride – Now Two Dates in Spring! Wrangle & Ride – Now Two Dates in Spring! 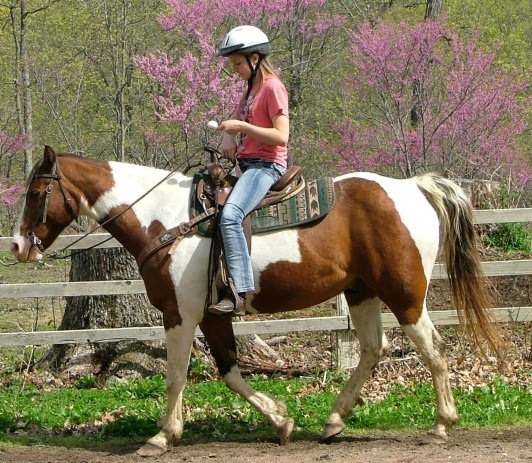 Spring is a great time to explore DuBois Center from horseback! Join our equestrian team on Saturday, March 23 AND/OR April 13 from 9 am – 5 pm for a full day of fun with the DuBois Center herd. Designed for both beginner and more experienced riders, these are horse-intensive days of grooming, tacking, riding, instruction and other horse-related activities. Beginners will be introduced to basic skills, while experienced riders work on more advanced options. The minimum age to participate is 12 years old and the cost is $65 per person, per day with lunch included. Online registration is now open, or you may complete and mail this form. Hurry! These days often fill up fast. Questions? Contact DuBois Center 618-787-2202 or email.